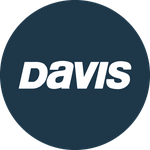 Davis Instruments Support, FAQs and Troubleshooting - What is the difference between CarChip Pro, CarChip Fleet Pro, and CarChip Connect? All Categories ​>​ FAQ ​>​ Vehicle Monitoring ​>​ What is the difference between CarChip Pro, CarChip Fleet Pro, and CarChip Connect? CarChip Pro is generally for individual consumers and offers historical data. CarChip Fleet Pro is best for businesses that do not need real time data. CarChip Connect is for businesses that need real time data on drivers and vehicles.